Home Criteria Arnold Athletes – Updates & Reminders. 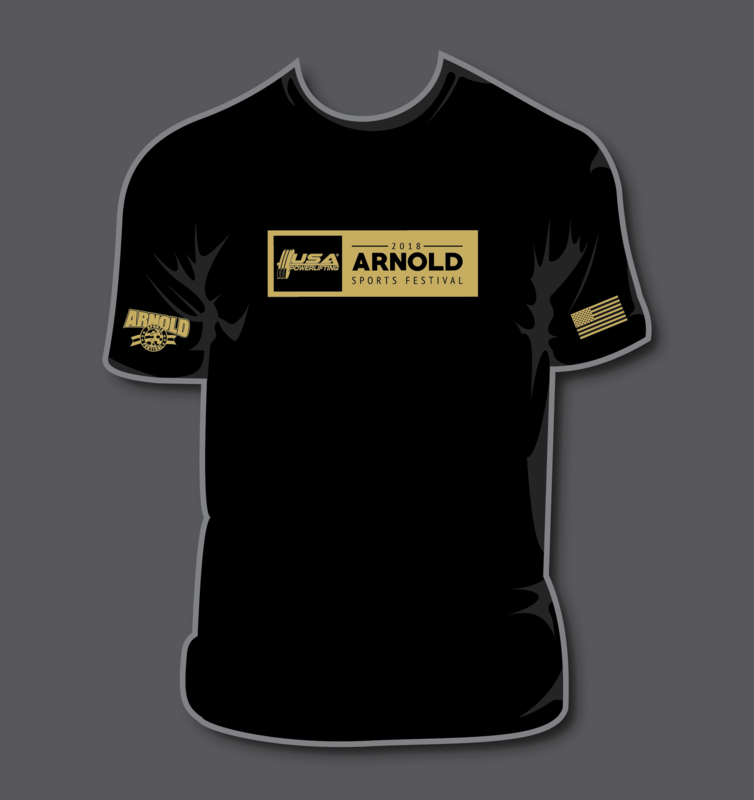 Arnold Athletes – Updates & Reminders. A few reminders, please read this message in its entirety. Please note the times you can pick up your wristbands for each day. Registration will be in the C-Pod (please look for signs). You and your coaches/handlers will need Photo ID and current USA Powerlifting memberships (U.S. lifters only). There are a total of three wristbands: #1 Expo, #2 Warm-up room & #3 Coach. You will be required to sign for your wristbands and may not pick up a wristband for your friend or coach. All athletes will get one Expo wristband that will get them into the Expo all 3 days. The coach who you listed on your entry will also get an Expo wristband, good for all 3-days. If you changed your coach from your original entry or any additional friends/family wanting into the Expo, they will need to purchase their Expo wristband through the Arnold, there will be locations within the Convention Center for Expo wristband purchases. This wristband will be provided to coaches once they have shown ID and proof of USA Powerlifting membership (membership required for U.S. coaches). Each athlete will be given a warm-up room wristband for your lifting session. Coaches will sign for their wristband by the name of the lifter they are coaching that event/session. If you are both an Athlete and a Coach throughout the events, you will obtain 1-Expo and 1-Coach wristband as well as a wristband for each session you are either lifting in or coaching in. Weigh-ins are done by lot order (these are randomly assigned by your flight). If you are not available when your name is called by lot number, you will be passed over and will get to weigh after the remainder of the lifers are weighed in by their lot number. We encourage you to plan to arrive at the venue early due to the amount of spectators at the Arnold, it may take you some time to get to our venue room. Advanced warning: We have several events running at the same time, therefore several weigh-ins also happening at the same time. Please be kind to the officials and your fellow athletes as we get you all through the weigh-ins. There will be one scale per event. If you need to withdraw from any of the events and have not already filled out the Withdrawal Form, please do so. It helps our volunteers with the schedule and weigh-ins. Warm-ups for the C-POD events and Main Expo Stage will be in the C-POD warm-up area. Warm-ups for the Rogue Strength Stage events will be in the Exhibit Hall C.
You will be required to wear the sponsored tshirt at the event. They will be handed out during weigh-ins. NextLifter Ohio Classic may also have shirts, we are working through details. There will also be limited quantity of the 2018 USA Powerlifting Arnold Tshirt available at our merchandise booth located in CPod. We will have a live broadcast for the events in C-Pod (A7 Bar Grip Raw Challenge, SBD Pro American & Nextlifter Ohio Classic). You share the link live.usapowerlifting.com with your friends and family. Rogue Strength Stage athletes, we do not have the ability to live broadcast, but will be recording and will upload on our YouTube channel as soon as possible after. Pro Deadlift athletes, the Arnold will be live streaming. We will share this link as soon as they make it available to us. As a reminder, please review USA Powerlifting’s Media Policy. Your successful attempts are important to the Arnold organizers!! Please choose attempts wisely so we are invited back to the Expo hall the following years. And remember, 2 successful attempts are required to remain in the running for the cash prizes! Don’t forget to hashtag and mention us at #usapowerlifting #usapl #WhyICompete & @usapowerlifting AND the sponsor for the event you are lifting in with your training posts and lifts at the Arnold! Want us to know your social media account? Safe Travels, Good Luck to everyone and see you all in a few days!